This neighborhood park and large saltwater boat launch facility offers access to the Gulf of Mexico via the Caloosahatchee River and is approximately 11.2 statute miles from the Sanibel Causeway Bridge. Each of the two boat ramps is 30' wide x 60' long and there are 57 boat trailer parking spots plus 31 vehicle parking spaces to accommodate a large number of boaters. In addition, Rosen Park houses 19 wet boat slips designed to handle vessels up to 40 feet in length which are available for annual and transient rentals. The park also provides a scenic location along the Chantry Canal where people can enjoy a picnic and/or take a walk on the boardwalk and watch the boats. Rosen Park can be accessed via boat by turning West at marker #58. Marine Services staff monitors VHF channel 16. Boat Trailer Parking Fees: There is a $10 per day boat trailer parking fee payable at the electronic machine between the boat ramps and restrooms. 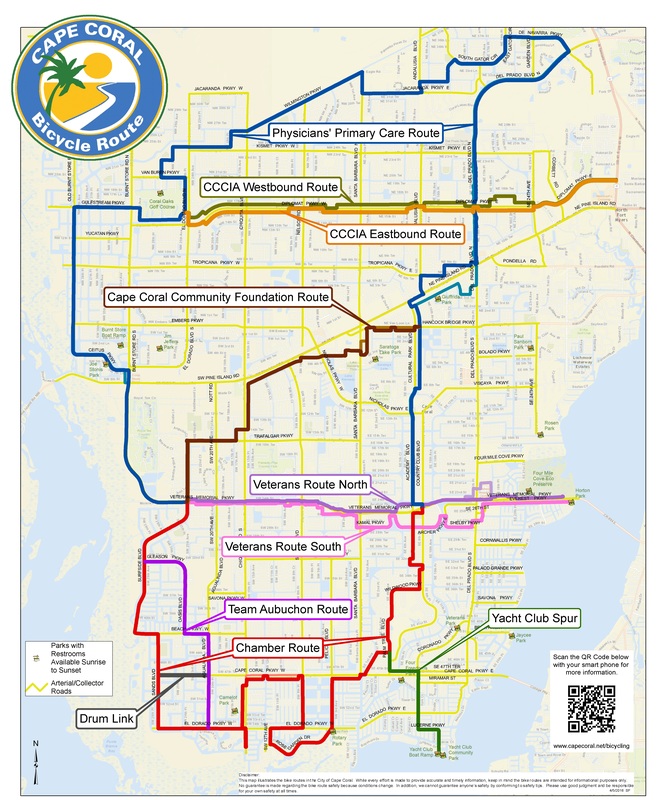 Cape Coral Residents may obtain an annual parking decal for $50. Decals are available for purchase at the Parks & Recreation counter at City Hall, Harbormasters’ Office, Rotino Senior Center and the Yacht Club. For more information about the Boat Trailer Parking program, click here. Each of the 19 wet boat slips at this "live-a-board" authorized marina has 30/50 amp electric service plus access to potable water (fit for human consumption). There is also an on-site sewage pump-out station that is open on Mondays from 10:00 a.m.-2:00 p.m. In addition, there is a gate at the entrance of the boat slip dock for security and privacy. Please Note: Any individual who wishes to lease a boat slip must first pass a background check. The marina area includes a building that houses an office, restrooms and showers. For more information about boat slip rentals at Rosen Park and availability, please contact the Cape Coral Marine Services Division at (239) 574-0809.